In this video series, you'll see my entire workflow on select images, start to finish. Each course will cover a different type of scene in different light, so you'll learn something new in each one. This is how I taught live sessions online for years, and now you can learn at your own pace (and save money) with these videos! I'll show you my most important techniques for creating dramatic and compelling imagery, while keeping the result clean and realistic. My workflow is designed to be non-destructive - you can go back and make changes at any step in the process. Only Adobe Photoshop CC and Camera Raw (or Lightroom if you prefer) are used - no extra plugins or software required. A downsized Photoshop project file will be included with each video so that you can see how all the layers work and follow along on your own. I will also provide you with my PS actions, and links to the other actions I use. I recommend being comfortable with layers and masks in Photoshop. If you've already purchased a video and have any questions, you may want to check out my FAQs/Help page. Enter the code 2videos, 3videos, or 4videos at checkout. 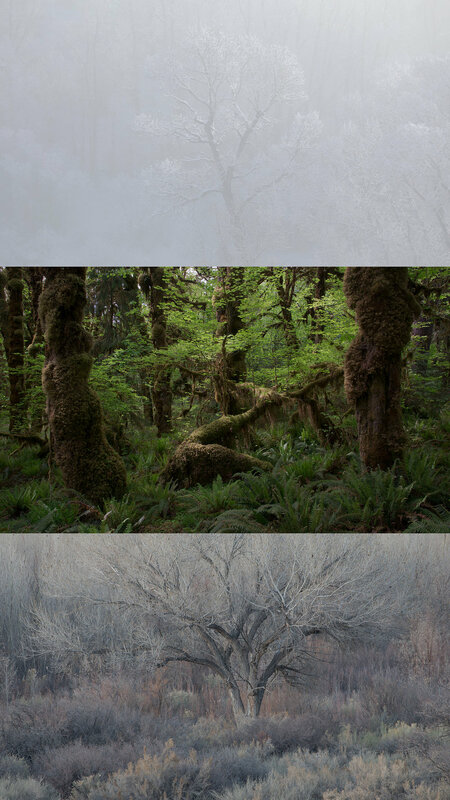 In this video tutorial three-pack, I cover the post-production of three very different tree images: "Ariandel", "Forest Haven", and "Rainbow Rider". While the forest is a common theme among these photographs, they feature greatly varied atmosphere, color, and light. You'll learn a wide variety of techniques due to their diversity, but it will also be helpful to see which techniques I use on all three, so that you can learn how to apply them to any situation and any type of light. Sign up for my mailing list to be notified of future video releases and to receive subscriber-only discounts on tutorials.